The Archbishop Blanch Memorial Lecture was founded as a tribute to Stuart Blanch, beloved former Bishop of Liverpool and Archbishop of York. 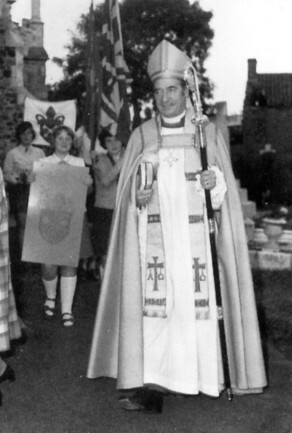 Stuart became Bishop of Liverpool in 1966 and quickly captured the hearts and minds of clergy and laity in the diocese and is still fondly remembered. Nine years later he left us, on his appointment as Archbishop of York. He retired in 1983 and died in 1994. There were well-attended Memorial Services in both York and Liverpool. After some months, thought was being given to a suitable more lasting memorial. Thus was born the annual lecture which bears his name. The first trustees were all clergy who had served in Liverpool when Stuart Blanch was our Bishop, and who wanted his legacy to be like the man – offering clear exposition of both the Old and New Testaments, and relating the text of Scripture to current issues. The inaugural Lecture was given by Lord Habgood, Stuart's successor at York, in 1997. Since then the annual Lecture each autumn has been given by some of the most well-known church leaders and has attracted audiences of between 200 and 400. The trustees also owe an enormous debt to Liverpool Hope University for hosting the Lecture since its beginning, a relationship which we believe has been beneficial to both diocese and university. Also, more recently, we partnered with the Lifelong Learning Department of the Diocese of Liverpool, with them publicizing and administering the lectures.